The Youth Fitness Specialist Certification is the IYCA’s comprehensive Certification for trainers and coaches who want to help young people ages 6 to 18 become fit, embrace healthy lifestyles and maximize sports performance. 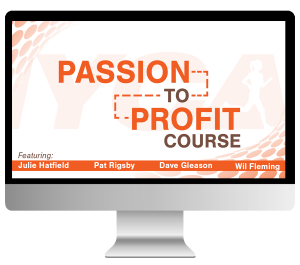 IYCA Passion to Profits Course as a BONUS! What Is The Youth Fitness Specialist Certification? The IYCA’s Revolutionary Approach To Coaching. Combining both the art and science of coaching, the IYCA’s coaching methodology addresses the needs of today’s young people and teaches you how to help you connect with and motivate the clients you serve to enhance their experience and results. The IYCA’s Revolutionary Approach To Long Term Athletic Development. The IYCA Youth Fitness Specialist Certification provides you with a complete approach to fitness and athletic development that takes into account the real world considerations of kids ranging from the differences in needs of 8 year olds and 18 year olds to the ever increasing challenges of early sport specialization. Contributions From Some Of The Industry’s Top Coaches. We’ve enlisted some of the world’s leading youth fitness professionals like Dave Gleason, Kim McCollough, Mike Robertson and Wil Fleming as contributors to this Certification to share their insight and experiences gained from coaching thousands of young athletes and provide you with real world insight into what actually works when training kids. Real World Programming. Gain access to actual, proven sample training programs for young people designed by the industry’s top coaches to better empower you to implement your own effective training approach. Who Should Get Youth Fitness Specialist Certified? Any Fitness Professional or Coach who works with kids ages 6 – 18 should be Youth Fitness Specialist Certified. Publications like Entrepreneur Magazine have recognized the career opportunities in youth fitness & sports performance as among the best and most rapidly growing in the world. Watered down adult programs are ineffective and inappropriate for kids, yet most of the training kids receive is based on adult programming. A growing emphasis on Sports Specialization has created new challenges and considerations coaches must be prepared to address. The progressively evolving needs of kids as they mature physically, socially and emotionally and how that impact training. If you’re coaching or training young people, you’re dealing with these considerations and many others. The Youth Fitness Specialist Certification will better equip you to serve those kids and help you enhance their fitness and performance. What Are The Benefits of Getting Youth Fitness Specialist Certified? The ability to develop and implement the right programming for a young athlete age 6-18, regardless of age, gender or sport (if any). The confidence that your programming is based on real world evidence and specifically designed to maximize results and benefits for each child you coach. Positioning as a ‘higher quality’ fitness professional that is specifically prepared to work with kids and make them better with each and every training session with evidence based programming. A tool to improve your business or career by being a specialist in a high need area that will immediately allow parents, coaches and administrators to know that you are uniquely prepared to design programs for and coach kids. 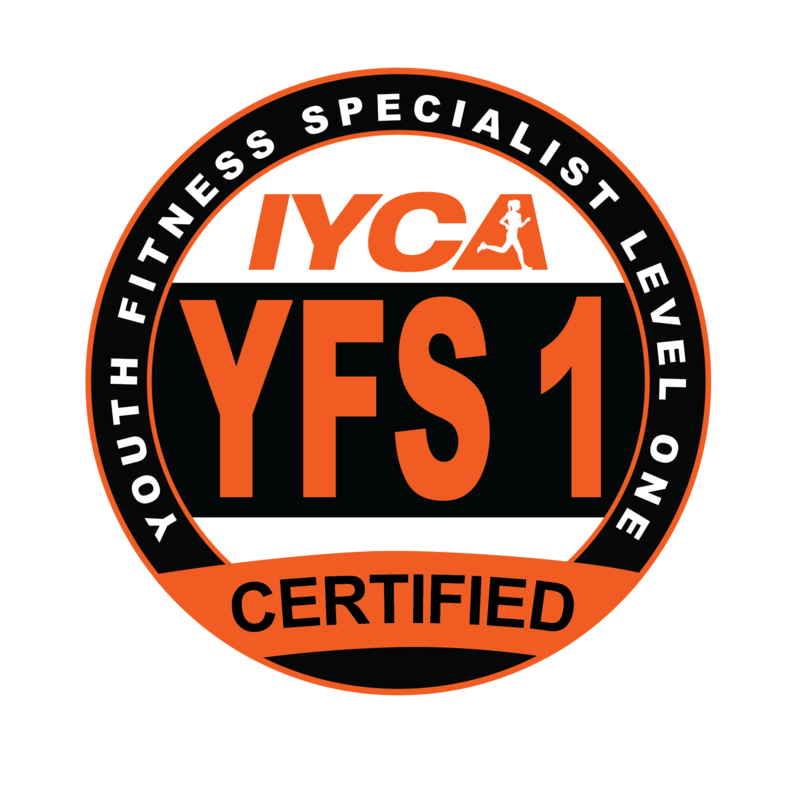 While there are many other benefits to becoming a Certified IYCA Youth Fitness Specialist, the bottom line is this: it will allow you to become a specialist in a high need, high demand field and allow you to better help the kids you serve. BONUS: What Is The Passion to Profits Course? This resource contains 5 modules that include worksheets, presentations, and everything you need to get on the career path that you may be dreaming of! Marketing, Sales, and living your Passion! Learn what others are doing with their YFS-1 Certification! When you decided to become a Certified Youth Fitness Specialist, you took a step toward opportunity! We have put together a short video for you! In this video you will hear what some of our YFS-1 Credential Holders were doing before they got certified, and where they are now! What Is The Learning Format For The Youth Fitness Specialist Certification? The Essentials of Youth Conditioning And Fitness- The official textbook delivers practical concepts supported by the latest research. A 2 DVD Set that provides thorough, narrated screencasts for each chapter of the Textbook so that you can learn though your preferred medium. Plus, to enhance your learning experience you will also receive a disc providing you with Printable PDF files of chapter outlines and a course syllabus with suggested week-by-week assignments. Once your register to become a Certified Youth Fitness Specialist, you will be directed to create your IYCA account if you do not already posses one. You will be shipped your Youth Fitness Specialist Materials and should receive them within 10-14 business days. You can test when you are ready. You may take up to one year to complete your Certification, and review the materials as often as you like. You will immediately know the results after you take your test. Most students finish within 2-3 weeks. Exam Requirement - Passing a 75 multiple choice, non-proctored online exam with 70% or higher. One attempt at the exam is given. Results are known immediately. Retest Fee – $50 retest fee applies if the passing requirement is not met at the end of the second exam attempt. 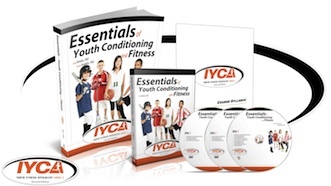 Earn the Credential of IYCA Youth Fitness Specialist! Register Now And Become IYCA Youth Fitness Specialist Certified Plus receive our Passion to Profits Course as a BONUS! When you register to become Certified, you will be immediately directed to create your personal IYCA account. Once you login to your IYCA account you will gain immediate access to your Youth Fitness Specialist Certification Exam and step-by-step instructions how to successfully complete your certification. You will also receive an email confirming your order. You will also be shipped your Certification Textbook and 2 DVD Set within 10-14 business days. How long will it take to complete the Certification? Typically 2-3 weeks upon beginning studying is average. If you have completed other IYCA Certification programs, you can likely complete the program more quickly. When you enroll, you will also be given access to take your certification exam online. There are no additional fees to take your test. You have 365 days following your enrollment in the Youth Fitness Specialist Certification program before you must test. You are given one attempt to pass the test. You will have 2 hours to take the test. It is 100 questions, primarily multiple-choice. If you do not pass the exam you can purchase a retest for $50. Are any Certification study materials mailed to me? Yes. You will receive them within 10-14 business days in most cases. After you successfully pass your test, we will register you in our global database as a Certified Youth Fitness Specialist. It can take up to two weeks for your certification to be mailed to you. Do I have to meet any prerequisites for this Certification? Yes. You must be 18 years of age and have a high school diploma or equivalent. You will also be required to pass a criminal background check prior to receiving your certification. Does it matter where I live? Can I complete the program if I live outside of the United States? IYCA Certified professionals come from all corners of the World. With the online learning platform it’s easier than ever before to study for and complete an IYCA Certification. You can study at your own pace and complete the Certification no matter where you reside. The only consideration is that all Certification materials are in English. What is the mandatory background check? Our highest priority, alongside providing a healthier lifestyle for our youth, is their safety. Therefore we feel in order to maintain an environment with the highest level of security, we must maintain certain standards for our applicants and members. For this reason, we require that a criminal background check be performed by our third party screening organization. If you already hold an IYCA certification and have undergone a background screening from us, you do not need a new one for subsequent certifications. After you purchase your exam, you will be sent an email with links to complete consent to the Background Screen. There are fees associated with the screening, depending on your country. If you are in the United States, there are no additional fees (the IYCA will cover those fees). Please be aware that if you live outside the US, additional screening fees apply (click here for international screening fees).